The back of Canadian Pale Ale beer can, by Old Tomorrow Beer. This is the 2017 edition of the can. The front of Canadian Pale Ale beer can, by Old Tomorrow Beer. This is the 2017 edition of the can. 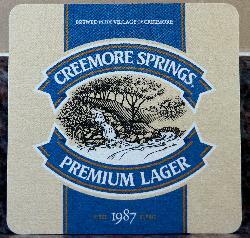 This is the reverse side for a beer coaster from Creemore Springs Brewery Limited. This 2017 version featuring their Premium Lager, has a drawing of a spring in it. It also states that Creemore Springs was established in 1987. 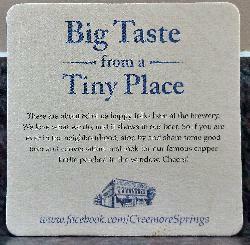 A beer coaster from Creemore Springs Brewery Limited. This 2017 version featuring their Premium Lager, has a drawing of a spring in it. It also states that Creemore Springs was established in 1987. The front view of beer can for Lake Effect IPA beer, brewed by Great Lakes Brewery. Great Lakes Brewery is located in Toronto Ontario. Pararagraph on back: The weather channel describes Lake Effect snow as a “mass of sufficiently cold air moving over a body of water creating an unstable temperature profile in the atmosphere.” Who cares. This beer, however, has nothing to do with that drivel. It was inspired by a summer spent drinking heaps of IPAs on a stoop on Elmwood Ave. in Buffalo, NY. Front view of Legendary Oddity beer can. Brewed as a Belgian Style beer by Muskoka Brewery. Produced in 2017. Inscription says: Legends date back to the 1800’s when lumberjacks and fur traders took to the woods and encountered the mysterious culture and wildlife in the Northern region. Today, we echo our ancestors’ quest and have unearthed the spring season’s most distinct offerings. Brewed with a Belgian style in mind, this culmination of unique ingredients rests in our Legendary Oddity brew. We invite you to Release The Legend. Front view of Legendary Oddity beer can. Brewed as a Belgian Style beer by Muskoka Brewery. Produced in 2017. The front view of a Shinnicked Stout beer can. Brewed by Muskoka Brewery. Inscription on back of can: Shinnicked is that numbing, gasp-for-breath feeling you get when plunging into a Muskoka lake for a chilly late-night dip. To warm you up afterward we created this rich, velvety stout infused with Muskoka Roastery’s Signature Lumberjack coffee. The front view of a Shinnicked Stout beer can. Brewed by Muskoka Brewery. Tasting notes are: Velvety smooth with higher carbonation for a lighter mouthfeel. Dark roasted chocolate flavours complement strong coffee notes, present from roasted coffee additions. 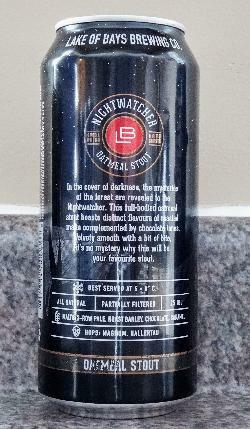 The rear view of beer can for Nightwatcher Oatmeal Stout beer, brewed by Great Lakes Brewery. Inscription includes: In the cover of darkness, the mysteries of the forest are revealed to the Nightwatcher. 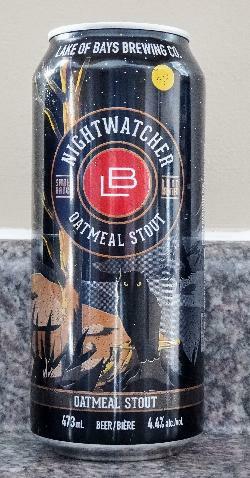 The front view of beer can for Nightwatcher Oatmeal Stout beer, brewed by Great Lakes Brewery. The art on the beer can depicts an owl in the wilderness. Great Lakes Brewery is located in Toronto Ontario. 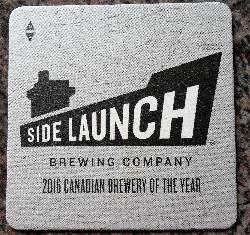 A back of the beer coaster from Side Launch Brewing Company. This 2017 version has a the slogan 'From hard works comes good things'. Pictures are the flavours Pale Ale, Wheat, Dark Lager and Mountain Lager. 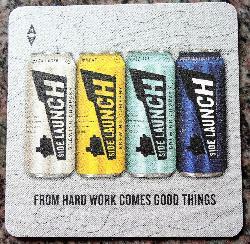 A beer coaster from Side Launch Brewing Company. This 2017 version identifies Side Launch as the 2016 Canadian Brewery of the year. The back of a Smithavens Schwarzbier beer can. Brewed by Smithavens Brewing Company in Peterborough Ontario. A photo of the front of a Schwarzbier beer can. Brewed by Smithavens Brewing Company of Peterborough Ontario. Beer is described as a traditional German Black Lager with notes of coffee and chocolate on the palate. Light in body and full in flavour. Photo of the back view of a Waterloo Dark beer can. Waterloo Brewing is a brand of Brick Brewing Company in Kitchener Ontario. The can has a artist rendition of a wild boar. Photo of a Waterloo Dark beer can. Waterloo Brewing is a brand of Brick Brewing Company in Kitchener Ontario.